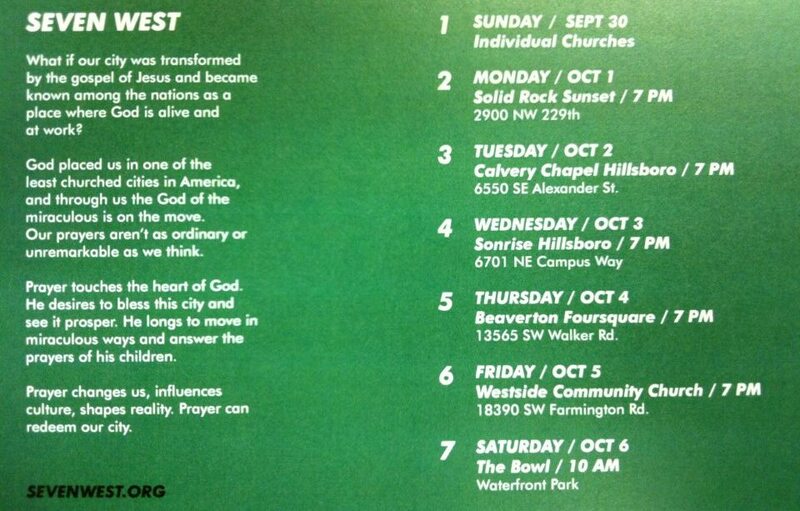 If you're in the Portland Metro area please see the following information regarding a time of prayer and fasting that is going on this week. This is something I'd meant to post last Sunday. 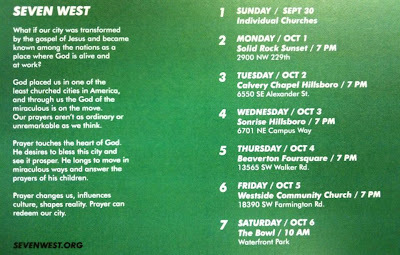 Even if you don't live in the Portland Metro area let me encourage you to pray as well this week! 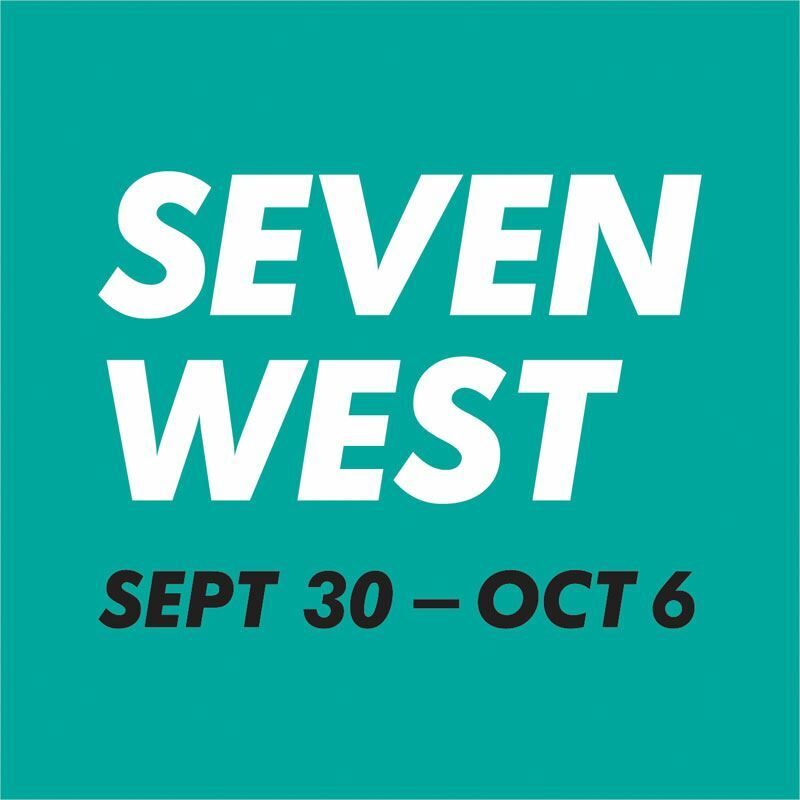 Let's seek The Lord together for revival in our communities, our country and even in our own hearts! May His Spirit work and move mightily in and through us!